*For Mushrooms, I picked up a blended package (Oyster, Crimini and Buttons) which I extended with some reconstitutes Shiitake. Trim the pork of fat and then cut into bite-size cubes. Mix together the garlic, sage, salt, ½ tsp. of pepper and the oil along with ½ cup of the wine and then marinate the pork in this mixture for 12 hours, turning the meat occasionally. 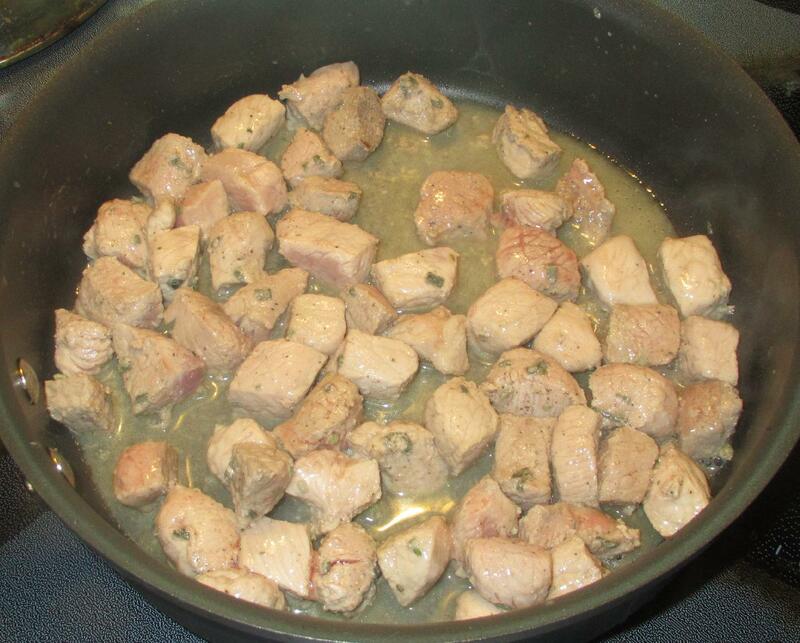 Melt 2 tablespoons of the butter in a pan over moderate heat and sauté the pork until no pink remains. 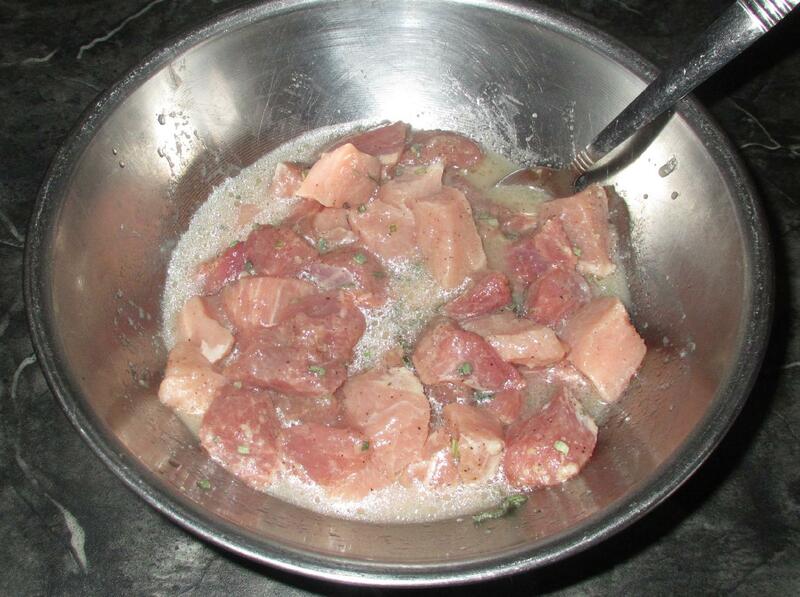 Remove the pork to a bowl for now and reduce the pan juices that remain. 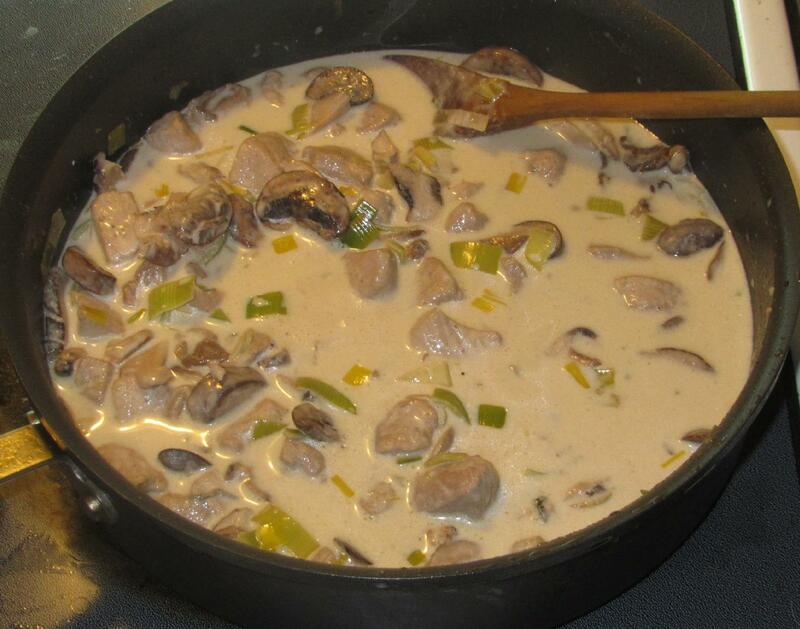 Melt another two tablespoons of butter in the pan and add the mushrooms. 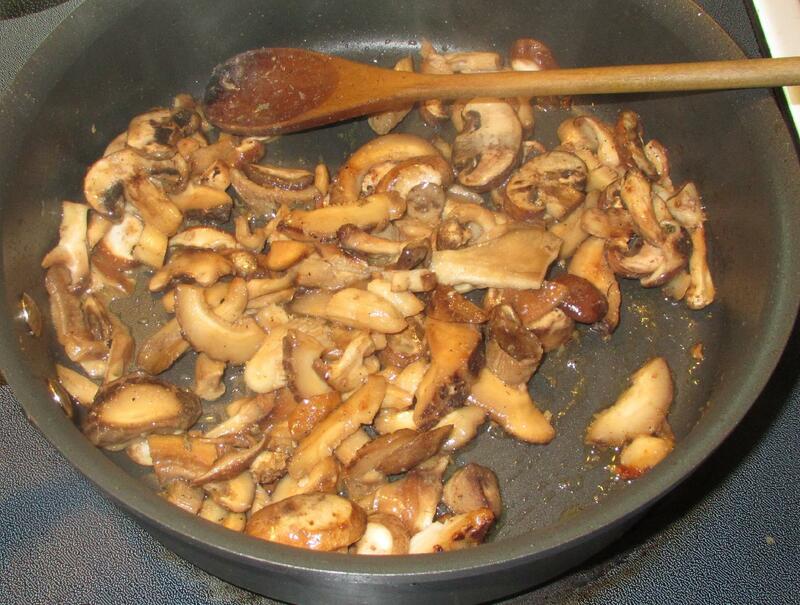 Sprinkle with the remaining pepper and then cover the pan until the mushrooms have largely thrown off their water content. Uncover and continue to cook until the liquid is all but evaporated. 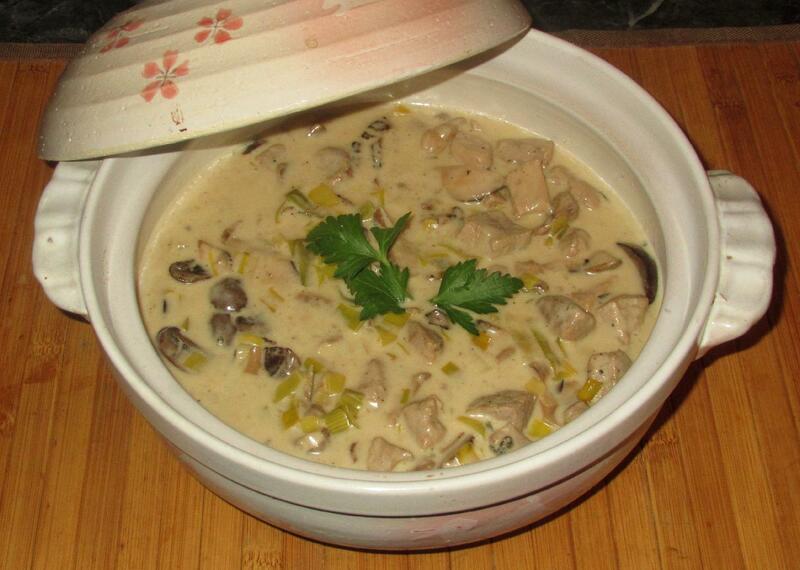 Avoid browning and, when done, remove the mushrooms to the same bowl as the meat. Melt the remaining tablespoon of butter and sauté the leeks just until softened. Now, add back the meat and the mushrooms along with the remaining wine and the sherry. Cook, stirring occasionally, until the liquid has reduced by about one half. 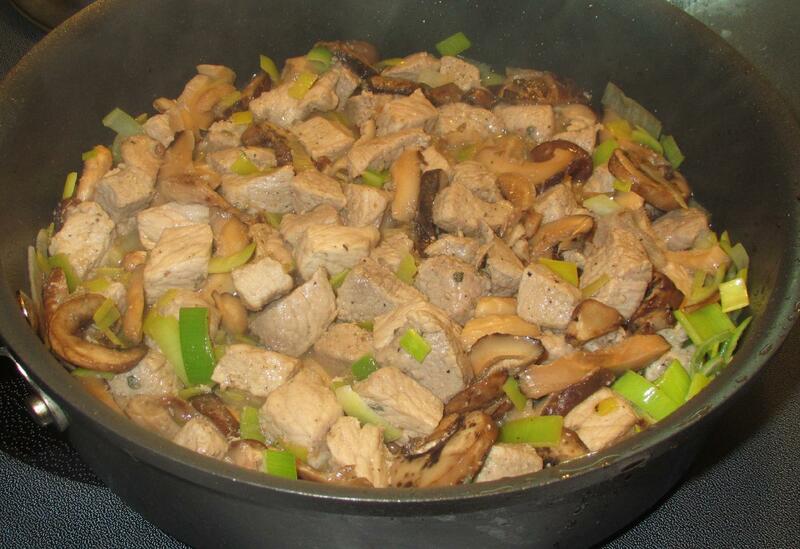 Sprinkle the flour over the meat , leek and mushrooms and stir well. Then, add the stock and the cream and turn the heat to low. Simmer very gently until the pork is tender and the sauce has thickened nicely. Something I would cook and eat. I’m so glad you didn’t use squirrel in your fricassee as pork is more to my taste. It looks delicious. I’ve never actually tried squirrel myself. Lots of people say its good though! Love this and shall try! Atavism rears its head here ~ the word ‘fricassee’ was used in my childhood home in N Europe methinks every week ~ I seem to remember usually in the form of a veal one, so much loved by Estonians. I don’t think I have ever personally cooked this but love the method and your ‘heavy handedness’ with mushrooms and leek and the fact that reheating seems to improve it [as does curry] the appeal to someone living alone is considerable. Thanks!! !